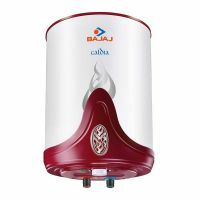 Bajaj Caldia 25 Litre Storage Water Heater is a Alluring Design with Rust Proof External Body. It is Suitable for water pressure head upto Ground + 18 Floor / 270 Metres / 8 bars. This is a Suitable for highrise building water heater with Fire retardant Cable. 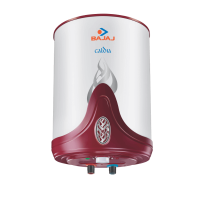 To Recieve updates and possible rewards for Bajaj Caldia 15 Litre please sign in. To Recieve updates and possible rewards for Geyser/Water Heater please sign in.